When you're training for a marathon you're not thinking about what comes after. You're not thinking about the pressure you're putting on your body. The stresses. The aches. The pains. The damage. You're thinking about that day. That morning. Those hours. All you care about is getting through those 26 miles. And when it's done, you don't know what happens next. You don't know that you won't be able to walk for 3 days. That you'll try to run and get 0.2 miles before you have to turn around. That the ache in your hip your ran through for 26.2 miles will start to be pain. Burning constantly. You don't know that the 10K you signed up for, that seemed like nothing, would start to feel impossible. You don't imagine going weeks without running, after running for hours nearly every day. You don't imagine the guilt, the shame, the longing. You don't imagine how much you'll miss running after being so sick and tired of it for months. You don't imagine how slowly it will take you to be able to do something you could do so easily before. You don't imagine how angry you'll get when you read training guides that suggest trying running again 4 days after the race. Because running a marathon is hard. And recovering from a marathon is hard too. You won't know how to rest. You won't know how to sleep through those 6am alarms. But at the same time, you'll be so tired, so sore. You'll worry constantly about fitness and stretching and what could make you feel better or worse. Returning to running is slow and painful and then more slow and more painful. Times that we were once so easy are now elusive. 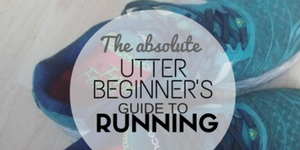 You start to think of running in terms of as pre and post marathon. I'm back to being a beginner. Panting through a mile. Shouting to the world, I ran a marathon you know. I ran so much further than this. Wearing your marathon tshirt on every run to justify your struggle. Every run is preceded with that caveat. You yearn to regain that fitness you had and curse those 26 miles of robbing you of that. You take one run at a time. And each time you get a closer. But you know you're not there yet. A 10K which was once a walk in the park is now something to genuinely worry about. 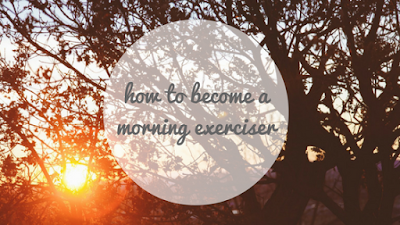 It becomes a success to run 4 miles, when once that was half a distance you ran before 7am. There are no regrets. There can't be. What you did was worth all the pain and the aches and the struggles to breathe and the slow pace. But recovery from a marathon is not easy. And we need to talk about it. Because it's been 4 weeks and I'm still not quite there. And when you see training plans that advise a gentle 4 miles two days after a race you can't help but laugh. You couldn't even walk down stairs about 2 days. You'd done enough running for a lifetime. None runners will tell you how much damage a marathon will do to your body, and they are right. It's hard on everything. And your brain too. So you have to give yourself time to recover. But you will curse other runners. You'll hate those who could so easily slip back into their training plan. Those that don't know the pain of a marathon. They say it takes a day for every mile you've run to recover from a race. They say it takes 26 days to recover from a marathon. It can be hard to remember that.